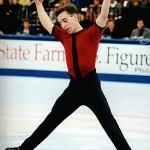 Dan Hollander‘s resume includes everything from two-appearances at the World Championship to a long-term stint with Champions on Ice. 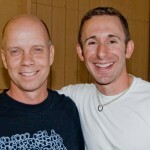 Now it also includes choreography for his idol Scott Hamilton, the 1984 Olympic gold medalist. Although Hollander was caught by surprise that Hamilton wanted his help with his program, it was not completely out of the blue. Hamilton had skated with Hollander in Sun Valley, Idaho, over the summer, then asked him to perform in the Scott CARES show with Cheap Trick, which served as Hamilton’s return to skating after a few years off the ice. The program the two worked on, “Everything Old is New Again,” aired during Kaleidoscope on Ice cancer awareness show on Fox on Thanksgiving Day. The show also featured 2010 U.S. Olympic team member Rachael Flatt and 2010 U.S. Championship bronze medalist Ashley Wagner. Hollander, also known for his comedic timing, also received Hamilton’s input on his own skating. Hollander had met Hamilton only a couple times before. “I had meet him at a Governing Council when the World Team use to be in attendance and another time backstage before a Stars on Ice show,” he said. Now Hollander says his wish-list of skaters to work with is complete. Hollander also offers private coaching and instructs seminars throughout the country through his company Dan Hollander Productions. 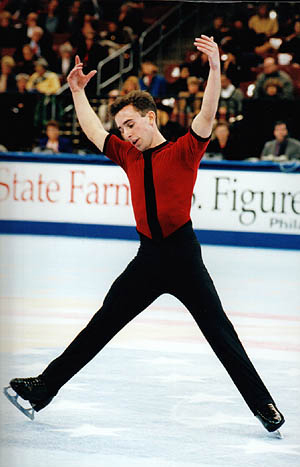 He is also the headliner for the 34th Annual Ice Show “Legends on Ice” in Berkley, Mich., March 26-28. 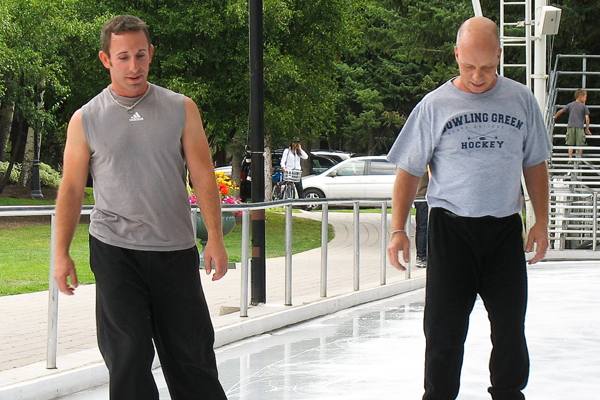 He’ll also be tuned into the 2010 Olympic Winter Games in Vancouver, Canada, although he has not been in-tune with skating for the last few years. I hardly watch skating anymore except for Nationals, so I couldn’t really tell you who could win the Olympics. I love skating, but I’m having a hard time liking my sport lately,” Hollander said. But perhaps the most enjoyable thing Hollander will do this year is help plan his wedding to Wyatt, who he proposed to on Dec. 31. “New Years eve at Busch Gardens, where she was skating in the show, is where I proposed to her in the park under the fireworks,” he said. 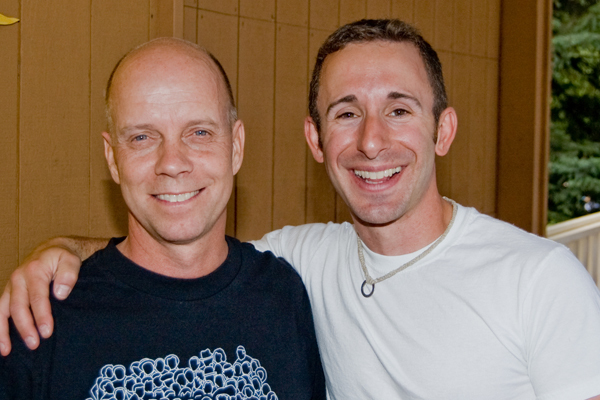 Hollander and Wyatt met in June 2009. “I was on my way to Sun Valley this last June and stopped in Kansas City, Mo., to teach a seminar,” Hollander said. “Katie Holmes, my good friend and coach, used to teach Ashley and thought we would get along well together. With some prodding from Katie, Ashley asked me out the last night I was there. We met for diner, and went to a modern dance show she had tickets to, Quixotic Fusion. I was ready to just go home after, but we decided on Cold Stone for ice cream. We sat outside for like three hours after it closed down just chatting away. To keep up with Hollander, follow him on Twitter at www.twitter.com/danhollander/.